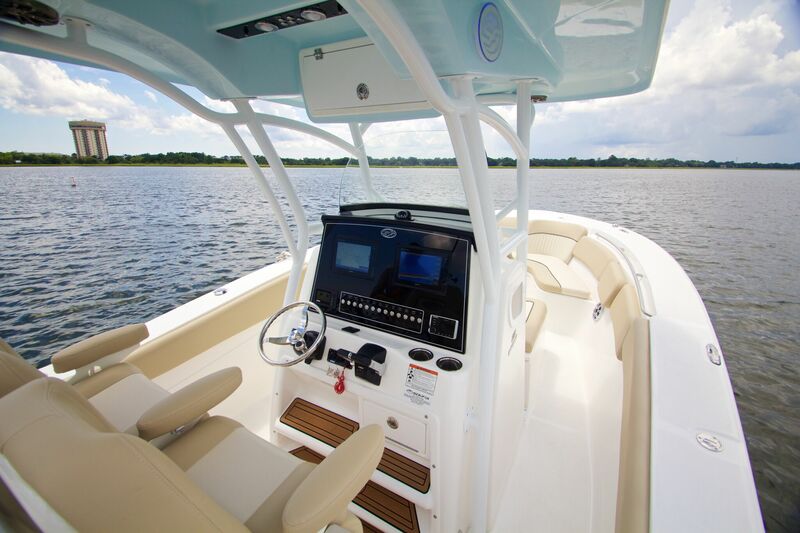 A pedigree fishing machine, the 288 Commander combines the proven performance of our hull design with a newly designed layout, console and a new, stainless-framed side boarding door. 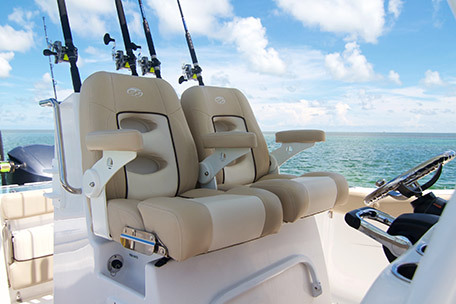 The result is a refined, capable offshore platform with more than a touch of style. 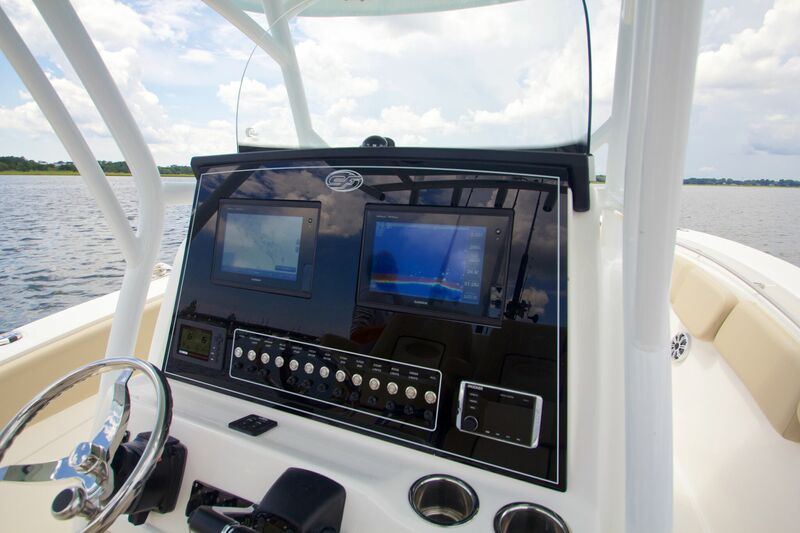 The smart design console boasts a black acrylic overlay with flush fitting electronics and back lit function buttons. 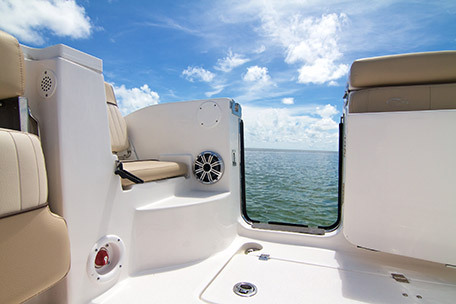 On the way to the grounds, a 20-degree deadrise aft yields a soft ride at speed without sacrificing stability while anchored, drifting, or trolling. 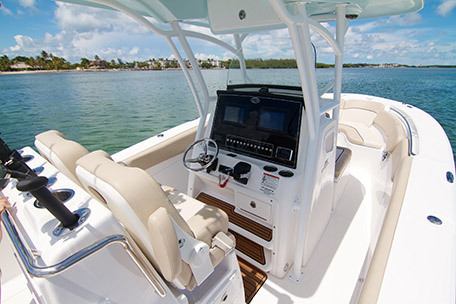 Meanwhile, twin 300hp engines with full digital instrumentation deliver a blistering 60 mile per hour top, driving is both comfortable and secure with tilt, power-assist steering and deluxe convertible bucket/bolster helm seats. 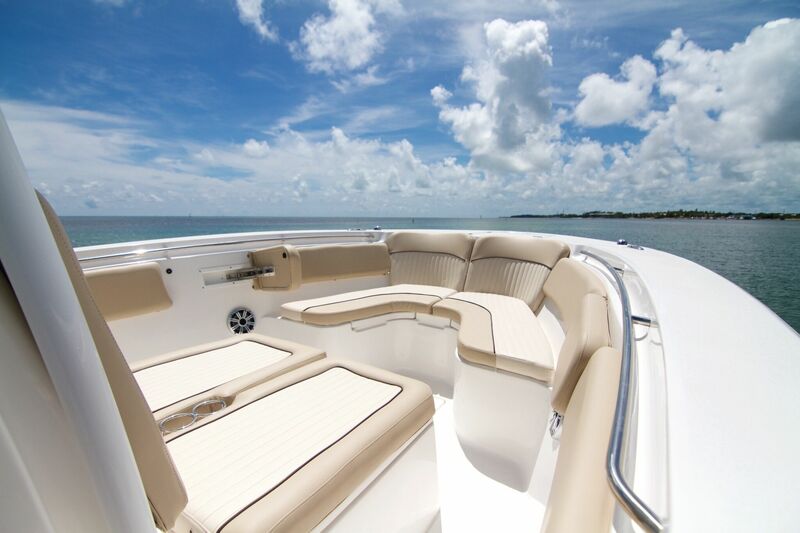 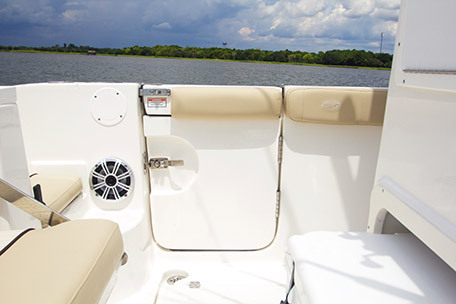 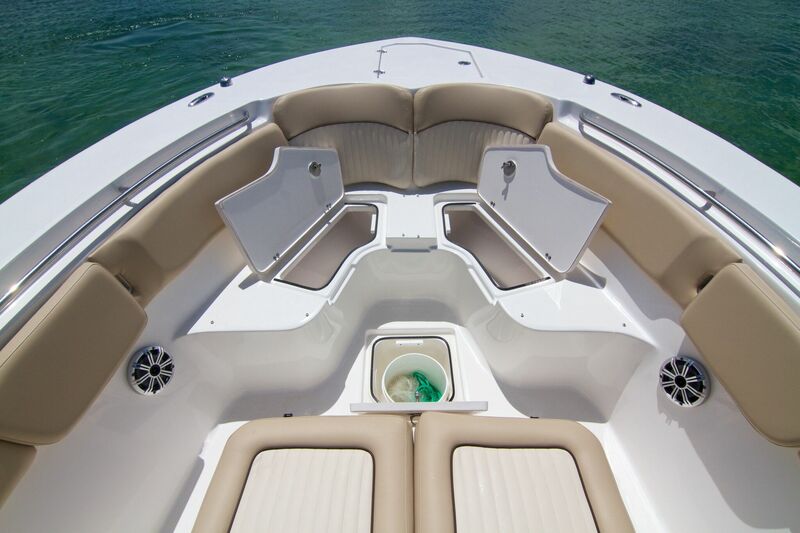 Forward of the console, the 288 is all diamond-stitched luxury. Both the dual curved bow lounger seating and the double wide lounger/ deep storage box forward of the console are ideal for family cruising. 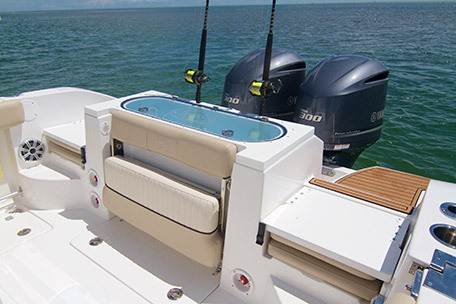 Entertainment is courtesy of a standard twin-amp, eight-speaker JL Audio system housed — along with the best hard top in the industry which includes a sunroof, freshwater misting system and LED lighting. 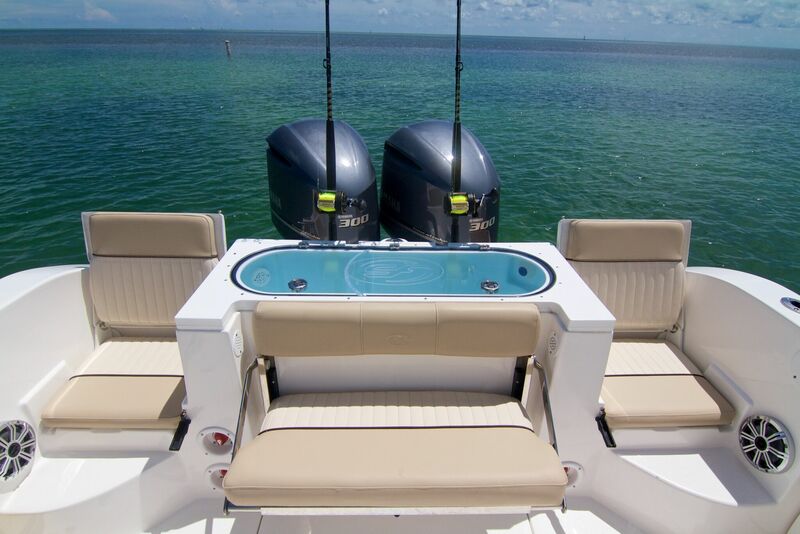 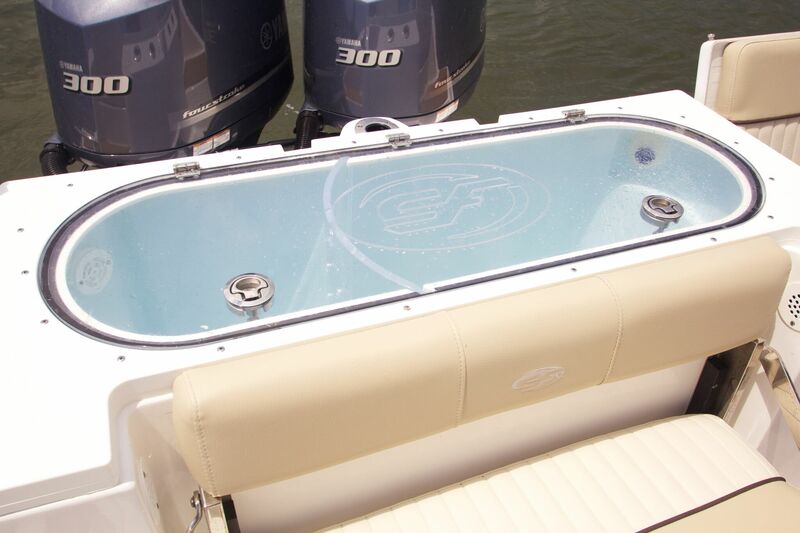 The Sea Fox 288 Commander is the perfect blue water choice for the serious offshore angler. 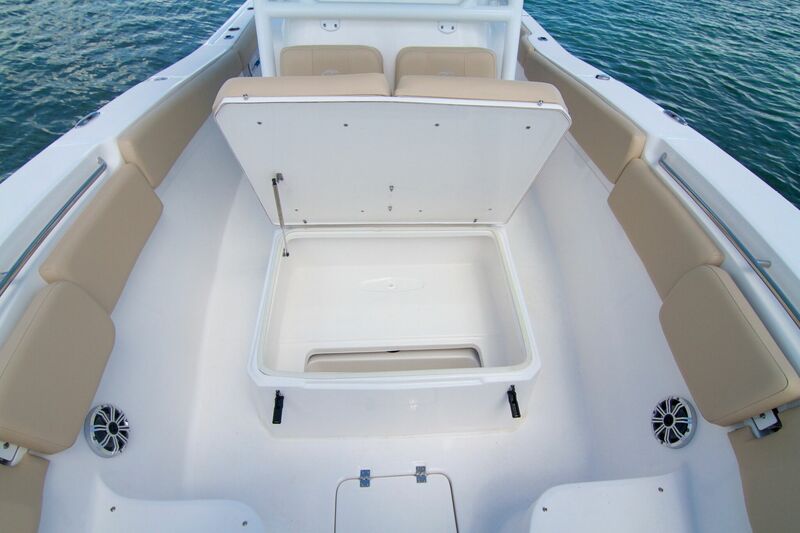 * Ultima hard top: recessed LED spreader lights (2), moulded-in electronics box, deluxe JL Audio stereo w/8 upgraded speakers (6) 7.7" in deck & (2) 10" subwoofers in deck, LED lights - white & red, rod holders (7), Climate Cool System (w/2 SST misters), Illuminated switch panel, sun roof w/slide open glass, safety storage box (forward).